Itamar Veiga Universidade de Caxias do Sul - RS - Brasil. This paper discusses the issue of practical reasoning, considering it as a field of study shared among three areas: ethics, common sense and programming languages. It questions the exclusive connection of practical reasoning to the area of ethics, and seeks to show through analysis of examples that other areas of common sense and programming languages also have important elements that characterize practical reasoning. 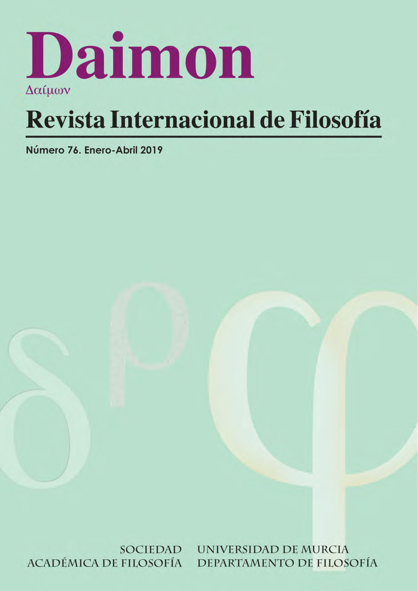 We conclude that practical reasoning cannot be assumed solely from ethics, but it should open a research through the plurality of philosophical discussion. Itamar Veiga, Universidade de Caxias do Sul - RS - Brasil. ALLAN, D. J. (1955): “The Practical Syllogism”. In: MANSION, S. Autour d’Aristotes. Louvain. BAIER, Kurt (1995): The Rational and the Moral Order: The Social Roots of Reason and Morality. Chicago: Open Court. BRATMAN, M. E. (1987): Intentions, Plans, and Practical Reason. Cambridge: Massachusetts University Press. BROOME, J. (2002): “Practical reasoning”. In BERMÙDEZ, J.; MILLAR, A. (eds.). Reason and Nature: Essays in the Theory of Rationality. Oxford: Oxford University Press, p. 85-111. BROOME, J. (2009): “The Unity of Reasoning?”, in ROBERTSON, S. (ed.) Spheres of Reason. Oxford: Oxford University Press, p. 62-92. GAUTHIER, D. (1986): Morals by agreement. Oxford: Oxford University Press. GAUTHIER, René Antoine; JOLIF, Jean Yves (1959): L’Etique a Nicomaque (comentaire). Paris: J. Vrin, vol. 1 y 2. HARSANIY, J. C.; SELTEN, R. (1988): A General Theory of Equilibrium Selection in Games. Cambridge: MIT Press. KNAPIK, M.; JONHSON, J. (1998): Developing Intelligent Agents for Distributed Systems: Exploring, Architecture, Technologies, and Applications. MacGraw-Hill. NILSSON, J. Nils. (1971): Problem-Solving Methods in Artificial Intelligence. McGraw-Hill. RUSSELL, Stuart; NORVIG, Peter. (2010): Artificial Intelligence: a modern approach. New Jersey: Prentice Hall, 3ª ed. [tradução portuguesa RUSSEIL Stuart; NORVIG Peter. Inteligência Artificial. Rio de Janeiro: Elsevier, 2004. Tradução de Vandenberg D, de Souza]. MÜLLER, J. P. (eds.). Decentralized AI: Proceeding of The First European Workshop on Modelling Autonomous Agents in Multi-Agent World. Amsterdam, p.175-196. STREUMER, B. (2010): “Practical Reasoning”. In: O’CONNOR, T.; SANDIS, C. (eds.) The Blackwell Companion to the Philosophy of Action. Oxford: The Blackwell Publishing, p. 244-251. VON NEUMANN, J.; MORGENSTERN, O. (2004): The Theory of Games and Economic Behavior. Princeton: Princeton University Press, Sixtieth-Anniversary Edition. WALTON, D. (1992): “Practical Reasoning”. In: BECKER, L. C.; BECKER, C. B. (eds.). Encyclopedia of Ethics. New York: Cambridge University Press, vol. 2, p. 996-1000. WIGGINS, D. (2001): “Deliberation an Practical Reasoning”. In: MILLGRAM, E. (ed.) Varieties of Practical Reasoning. Cambridge: MIT Press, p. 279-299. WOOLDBRIDGE, M.; JENNINGS, N. (1995): “Intelligent Agents: Theory and Practice”, Knowledge Engineering Review, January, v. 10:2, p. 115-152. WRIGHT, von H-G. (1972): “On So-Called Practical Inference”. In: Acta Sociologica v. 15, January, p. 39-53.